The Utelogy platform is vendor-agnostic to deliver the operational agility necessary for today’s enterprise. U-Manage allows organizations to centrally manage its entire AV infrastructure for better efficiency, cost savings and improved up-time. 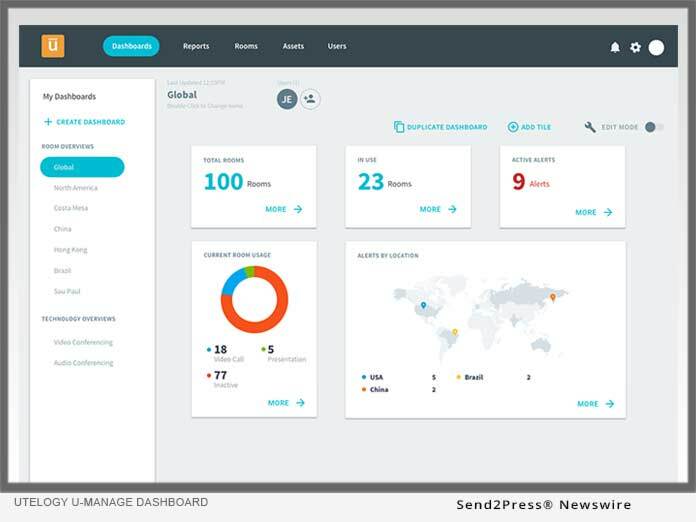 Rest APIs and data connectors to expedite third party development including BI platforms. “A key frustration for organizations has been the lack of data on workspaces and the devices within those spaces. The previous version of U-Manage did a great job alerting when a device in a room was off-line, but these latest enhancements to the portal provide the extraction of actionable data,” explained COO William Tinnel. “Now organizations will have the ability to view alerts and usage reports for rooms and all technology, including other control systems, as well as asset details like firmware versions and warranty reports. Most of the monitoring and management platforms on the market can only manage their own equipment. 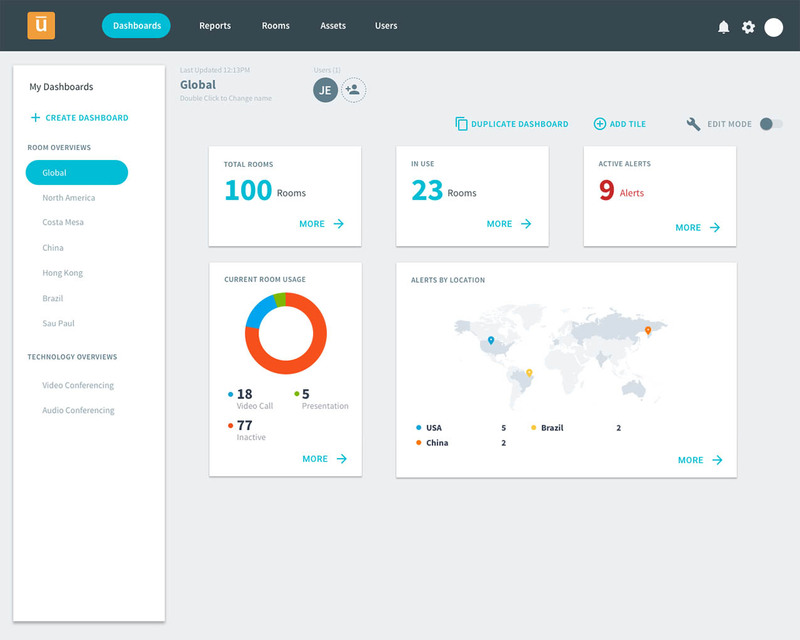 This new functionality provides incredible value for end-users and it opens up new opportunities for integrators and other service providers to offer managed services because you can now monitor legacy control systems,” added Tinnel. "Now organizations will have the ability to view alerts and usage reports for rooms and all technology, including other control systems, as well as asset details like firmware versions and warranty reports," said COO William Tinnel.